Meet Cindy C Murray, Author of Awarded Children’s Chapter Books! Hello everyone! Today we’re ELATED to feature middle grade author Cindy Murray on the Reading with Your Kids Podcast. Cindy has been married and have two daughters who have inspired her to write Young Fiction/Middle Grade chapter books. Cindy has two books published in her Sophie and Scottie Series: Sophie and Scottie’s Adventures of the Monarch Mystery, and Sophie and Scottie’s Adventures of Something’s Fishy. 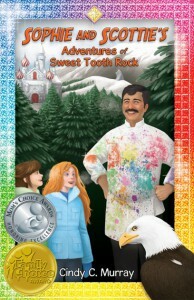 Her third book, Sophie and Scottie’s Adventures of Sweet Tooth Rock is now in editing. In our exciting interview, Cindy talks more about her books, What inspired her to write her own series called The Adventures of Sophie and Scottie Trilogy, Some of the important things young readers can learn while enjoying Sophie and Scottie’s adventure, What are her future projects & much more. We’re sure you’ll enjoy reading about her adventure trilogy as we much enjoyed hearing about it! Cindy C. Murray is the author of the award winning Adventures of Sophie and Scottie Trilogy. She is passionate about sharing engaging and imaginative stories with young readers. Her creative storytelling is inspired by her two daughters and by the childhood adventures she shared with her six siblings. After receiving a Bachelor of Science degree in Business Administration, Cindy contributed her innovative marketing skills to several Fortune 500 companies until she made the choice to stay at home to raise her children. 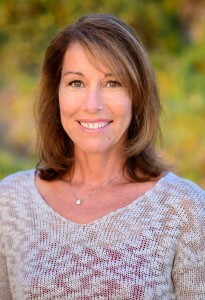 Cindy enjoys running and hiking, going to the beach, and attending sporting events. She lives in Poway, California, with her husband, daughters, and two dogs. 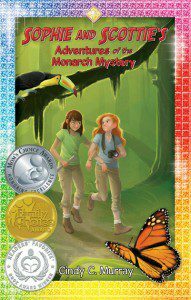 Sophie and Scottie’s Adventures of the Monarch Mystery is the first book of the Sophie and Scottie Adventure Series. The main characters, Sophie and Scottie, are 11 ½ year old twin sisters who live on a 10,000 acre sheep ranch called Shear Heaven. The girls aren’t identical twins but have similar features. Their unique personalities complement each other as they share a room, chores, and adventures on the ranch. They soon discover that this summer leads them to many more adventures that they only could dream of… enjoy! 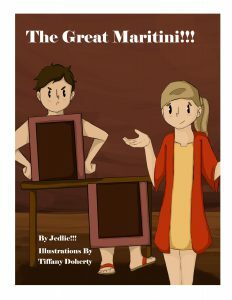 This is my second book of The Adventures of Sophie and Scottie Series. Sophie and Scottie just returned from their first adventure in Mexico and can’t wait for their next journey. The magical frame acts as a portal to new lands full of mystery and magic. 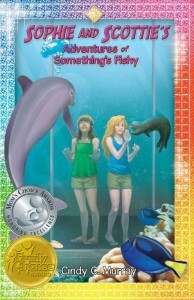 The 11 1/2 year old twin sisters must use their team work and trust to solve this “fishy” mystery on a remote Pacific island! Junior fiction readers ages 8 to 12 will want to join Sophie and Scottie on their exciting adventures at Shear Heaven Ranch as well as through the magical frame. This is Cindy’s third book of The Adventures of Sophie and Scottie Trilogy. Sophie and Scottie just returned from their second adventure on a remote pacific island and can’t wait for their next journey. The magical frame acts as a portal to new lands full of mystery and magic. The 11 and a 1/2 (as they always say) year old non identical twin sisters must use their team work, bravery, and wit, to solve the “sweet” mystery in North America! Middle grade readers ages 8 to 12 will want to join Sophie and Scottie on these new and exciting adventures at Shear Heaven Ranch as well as through the frame at the Colossal Candy Castle! Jed & Cindy discuss what kind of issues does she think could come up as discussion points if family was reading her book together. Jed shares some great words of wisdom from Former First Lady of the United States Jacqueline Kennedy. Be sure to tune in to catch all the fun! A big thank you to Cindy Murray for joining us and for sharing her story with us! Thanks for tuning in and have a wonderful day! Tagged Author Interview Award-winning children’s author children's book Cindy Murray Middle Grade Author middle Grade Book middle grade fiction Middle school Sophie and Scottie Series Sophie and Scottie's Adventures of the Monarch Mystery Sophie and Scottie’s Adventures of Something’s Fishy Sophie and Scottie’s Adventures of Sweet Tooth Rock The Adventures of Sophie and Scottie Trilogy. PreviouslyHoliday Special Episode with Angie Flores! Read NextJennieke Cohen Discusses Dangerous Alliance!